A Pakistan Air Force (PAF) C-130 cargo aircraft crash landed at Nur Khan airbase in Rawalpindi on Friday. The aircraft caught fire after the hard landing and the pilot and the trainee pilot were reported safe by authorities. 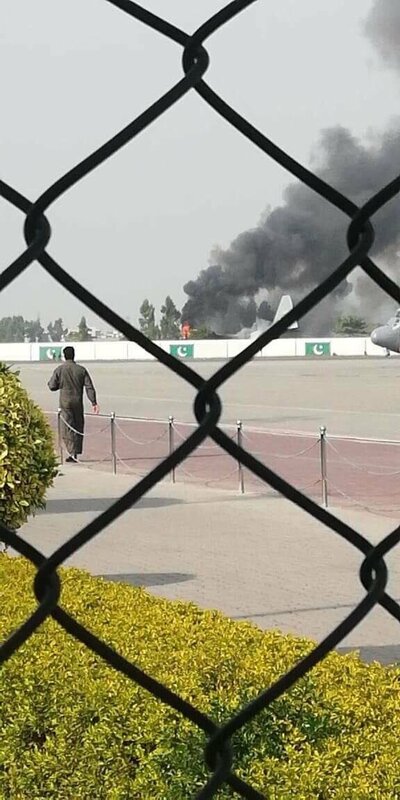 The PAF C-130 was on a routine training flight, said a spokesman for the service and added that the fire was extinguished and all crew members are safe. A board of inquiry has been ordered by Air Headquarters to ascertain the cause of the incident., added the PAF spokesman. The C-130, a US manufactured four-engine turboprop military transport aircraft, is the workhorse of the air force’s fixed-wing transport fleet. The tactical transport aircraft was inducted into the PAF in the early 1960s and has remained at the forefront of relief operations during natural calamities. 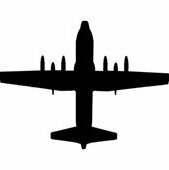 Apart from transporting all manner of cargo, the aircraft is also used by paratroopers and special operation forces when performing airborne operations. Earlier in June, two pilots died when a PAF training aircraft crashed while landing at the Peshawar airbase. The plane was returning from a routine operational training mission, when it crashed during landing. In another accident, a Frontier Corps soldier was martyred and two others were injured when an Army helicopter crash-landed on the outskirts of Quetta. The helicopter was en route from Kohlu to Quetta and carrying an injured soldier. The soldier was being evacuated in an injured condition, however, he died when the helicopter made a crash landing. Members of the crew sustained minor injuries during the crash. Can anyone confirm the Reg/Lockheed Production number of the incident aircraft?